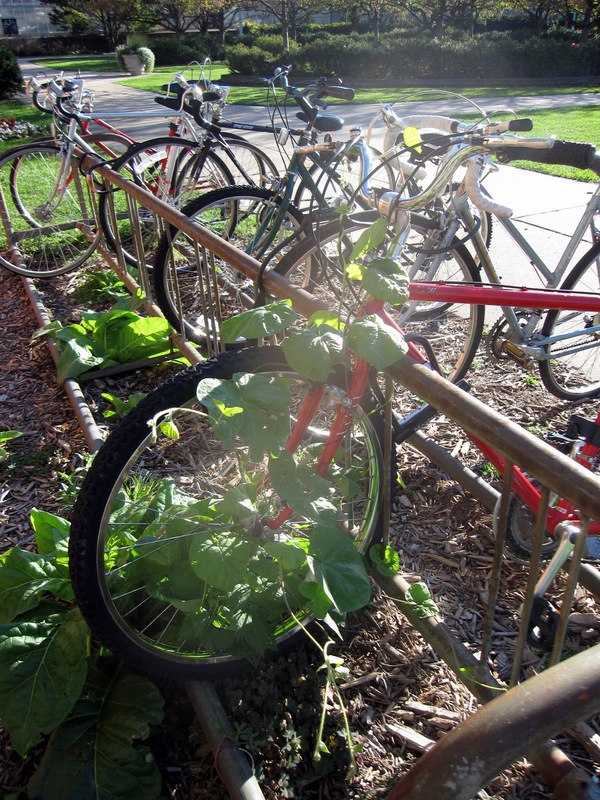 A bicycle being eaten alive by a morning glory. The funny thing is that every summer they make a sweep through campus and get rid of all the abandoned bikes -- so this one can't have been sitting here more than a few weeks. 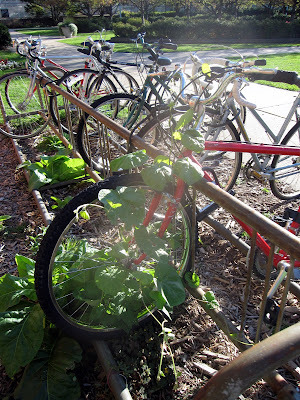 I wonder if you'll even be able to see the bike by the time frost puts and end to the morning glory? I wonder if the owner of the bike is still around...that would be interesting to finally go pick up your bike and have to weed too.